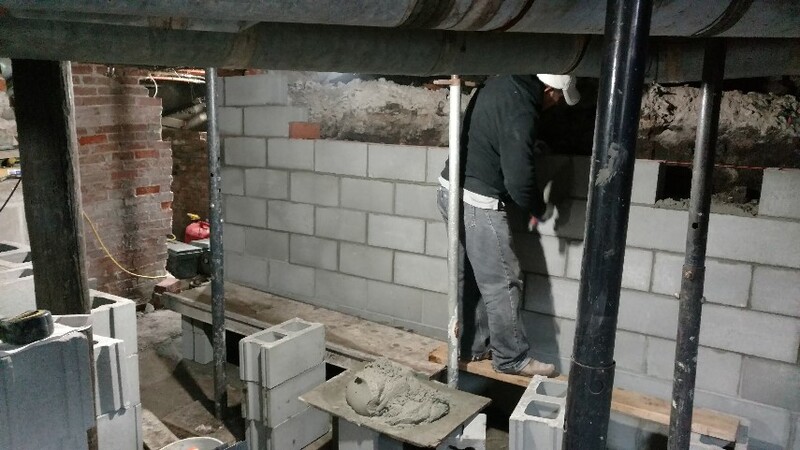 Basement Redo, by Lincoln Custom Masonry, replacing an old foundation for a new one in a Lincoln Home. Your home may need a total basement redo if your foundation has major issues. A home’s foundation has to be in place, and be functioning without major issues to be able to stand. A lack of attention of necessary repairs can cause a lot of other issues and create bigger problems if left unattended. We’ve addressed some of the questions and issues about foundations in a previous post. You can find that information here under Leaky Basements. It’s essential to get an analysis of any problems and how they can be taken care of. Sometimes stopping the problem before it escalates can help save money and time by making repairs then, rather than having to replace the whole basement. Ask yourself a few questions. How do you want to use your home in the future? Do you need the extra space in your home by making a livable basement and adding more room for expansion? Do you want to appreciate the value of your home for the purpose of selling it? These are questions that will help the home owner know how to proceed and what repairs may be necessary. Call Lincoln Custom Masonry 402-890-5813, or contact us to get a free basement analysis and a quote.